En primeur is Bordeaux’s annual ‘futures’ wine sale. We take a look at what it is and how to get in on the action! The en primeur season is when wine merchants – or négociants – buy wine direct from wine estates before the wine has been bottled. It’s one of the oldest traditions in the region of Bordeaux. Buying en primeur means getting access to some of the best – and often rarest – wines at discounted prices. Often wines made in smaller quantities, for example, are sold en primeur and won’t be available until a later date. En primeur sales take place while the wine is still in the barrel. Wine estates and wine traders come together to sell the wine prior to official release. In Bordeaux it’s a bit like a stock market for wine. The en primeur season is each spring, usually in starting in April. Merchants, wine writers, sommeliers, and importers from markets worldwide gather to try samples from the harvest the year before. The chateaux set and release their opening prices based on these reviews. Merchants also assess the wine and – like traders on Wall Street – target particular estates for investment. The trade in futures then takes place through until around mid-July. Estates release a slice (or ‘tranche’) of their harvest for sale on this futures market. This is done partly to provide estates with a cash flow in the form of advanced payment for wine still in production. It also guarantees that a certain percentage of the harvest will be sold irrespective of the quality of the vintage or the market value when the wine has been bottled. The wine merchants secure their prices with estates and buy the wine for sale to their retail customers or investors. By selling to negociants in this way, the estate is endorsing the merchant to sell wine to the public on their behalf. Retail customers pay the merchant for the wine 18 months or two years before the wine is bottled. It is then delivered once it’s is released by the estate. It’s not impossible to buy just one or two bottles, but usually people buying en primeur do so at higher volumes and buy at least a case or more. We spoke to Hortense Bernard from Bordeaux’s Millésima, one of Europe’s leading fine wine merchants. 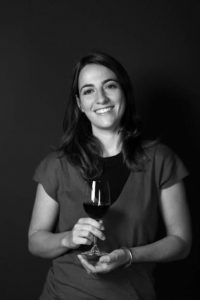 We chatted about the lure of en primeur – and asked her how you can get your hands on bottles of Bordeaux straight from the barrel. What are some of the advantages of buying en primeur? Futures wine prices are almost always lower than the standard market price once the wine has been bottled. This is because wine merchants and retailers accept smaller margins as they do not have to find space for this stock or promote the wines – they will sell them prior to the bottles being released. The better prices mean retail customers can save money building their collection. They can invest in wine at the best prices. It is also good for people wanting to buy higher volumes of quality wine for special occasions, such as weddings. It is also common to buy futures to secure wine to celebrate your anniversary year, a child’s birthday or retirements and graduations. How far ahead of the actual en primeur sales should people start planning what they’d like to order? A customer cannot buy any futures until the price of the chateau is released. Nobody knows in advance which estate will release its price and when. As you can see, this can be complicated! It’s important to stay connected with your wine merchant to find out when the price of your favourite wine has been released. This is why we have an alert system for our customers. You can sign up online to find out about specific estates, an entire appellation or every wine. We send an email with the price as soon as it is released. Of course we can only do this for the estates that we buy, but as we work with around 250 to 300 Bordeaux primeur labels, the choice is large. Our customers can then buy wine on our website or over the phone as soon as the wine is released to us for sale. What are the best wines to buy en primeur? It is hard to say as this changes every vintage according to the star of the vintage. But the only way to get the bottles you want from the estate you like is to buy your wine in futures. The other constant is the different formats and bottle sizes available. For example, we sell more and more 12L, 15L and 18L. And we do carry a lot of them but not for every estate. For futures, we leave the choice to the consumer – we offer all the sizes that the estate offers. The customer chooses. Why is the en primeur season so exciting for wine lovers? This is the thing! It is exciting only if the vintage is exciting! Customers love to secure their favourite wine and to make sure they get the best wine of the vintage. They love to follow the price release versus last year to see if the prices have changes or not. The Bordeaux futures market works like Wall Street and that is really unique in the wine industry. Prices can go down or up. Prices can change between one day and another. You have to be ready as soon as the wine is released. That is not easy and that is what everyone enjoys the most. What is your typical day during the en primeur season? I go every year to the en primeur campaign and I try a lot of different wines. My goal is to get a good sense of the vintage, find my favourites and make sure I relay this information to my customers. I need to make sure that my customers do not miss the most important releases. What are the advantages of buying from a reliable en primeur specialist like Millésima? It is really important to be careful where you buy. You should be suspicious of really low prices as the market can be fraudulent. It is important, for example, that your wine is stored correctly and that your wine merchant is financially sound and will not go out of business before your wine is available for delivery. During the futures sales themselves, it is important to develop a relationship with your merchant to ensure you are aware of price changes. You are sure to get the information you need if you have a good relationship with a good wine merchant. A lot of my customers would have missed the main releases last year if I had not been in close contact with them. Bordeaux is the original and oldest en primeur region – the concept started here. Why is it still such a special tradition? Bordeaux is unique and we are the only wine region that works in this way. 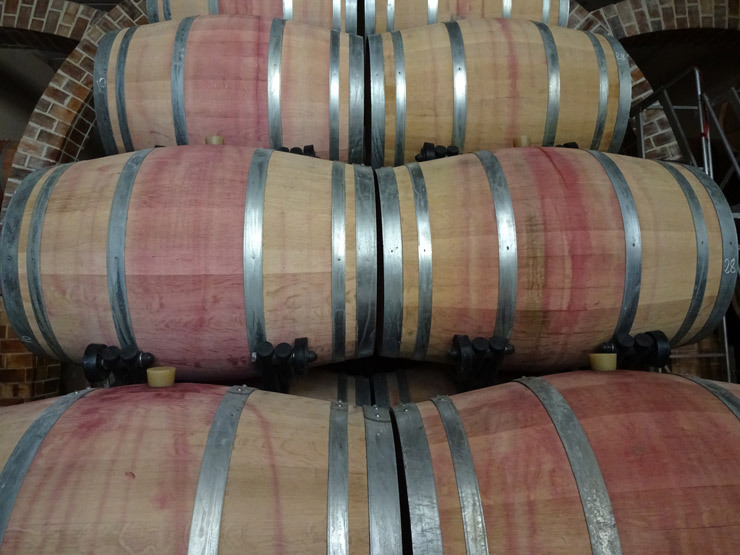 We are also the only wine region that can produce such a large quantity of high-end wine. If you take away the en primeur campaign from Bordeaux, all the price changes will disappear. You will take away a large part of the Bordeaux DNA. There is even more on wine futures here. You can find out much more about buying ‘en primeur’ at Hortense’s website, Millésima.fr.